Specifically designed for the printing of 3D scaffolding for bioengineering purposes, the technology assists in allowing scientists to adapt the micro and macro environment of tissues and organs. More than 80,000 Invitrogen™ primary and secondary antibodies, accessories, and custom services. Use our AbStocker Tool to see if your antibody is in stock. Innovation and expertise in the science of cell counting. Automated cell counters and image cytometry products for cell analysis in Life Science and Biomedical research. A range of flexible BioImaging systems and Ultraviolet Light equipment from UVItec to suit your applications and budget. Invitrogen™ EVOS™ Imaging Systems and Invitrogen™ High-Content Systems, flow cytometry platforms, Invitrogen™ Molecular Probes™ labelling reagents and cell function assays. Gibco™ cell culture media, sera, reagents, and Invitrogen™ Lipofectamine™ transfection reagents. Invitrogen™ cloning kits, expression vectors, enzymes, competent cells, and Invitrogen™ GeneArt™ gene synthesis tools. Invitrogen™ and Ambion™ RNA, miRNA, plasmid DNA, and gDNA purification solutions. Products for sample preparation, sequencing, quantitative PCR, functional analysis assays, and bioinformatics tools. Invitrogen™ Attune™ Flow Cytometer as well as antibodies, assays and reagents, and instrument controls and standards. Gene Expression Assays, SNP genotyping, microarray analysis, and LCM. A broad range of solutions from to help you create modified genes, expression systems, and stable cell lines for your research including Invitrogen™ CRISPR products and services. Enterprise informatics, LIMS, application-specific software, lab automation software, and robust data storage solutions. Cold storage, ovens and furnaces, centrifuges, incubators and safety cabinets, water baths, and stirrers and shakers. 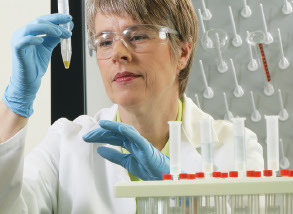 A wide variety of laboratory plasticware, including bottles, funnels, beakers, and flasks, as well as cell culture plastics and pipettes. Affymetrix™ arrays, assays, reagents, instruments, software, and services for microarray analysis in cytogenetics, agrigenomics, and transcriptomics research. A complete range of custom-synthesized oligonucleotide primers, probes, and genes. We also offer GeneArt—your service partner for gene synthesis through protein production. Applied Biosystems™ thermal cyclers, plasticware, standard and specialty PCR enzymes and reagents, and digital PCR. Diagnose your grapevines for common viruses through the extensive range of ELISA kits, extraction bags and homogenisers available through the Bioreba range. Protein expression, purification, Thermo Scientific™ Slide-A-Lyzer™ dialysis products, Invitrogen™ Novex™ gels, cross-linking, mass spec, BCA assays, westerns, and IP. Applied Biosystems™ TaqMan® Real-Time PCR Assays, Applied Biosystems™ SYBR™ and one-step qPCR master mixes, and real-time PCR instruments. Invitrogen™ siRNA, vector- and virus-based RNAi, in vivo RNAi, and RNAi transfection. Choose from gold-standard Sanger sequencing technology and fragment analysis on the capillary electrophoresis (CE) platform to flexible and scalable next-generation sequencing (NGS) to help your clinical research lab realize its full sequencing potential. Gibco™ products for culture and expansion of iPSCs and other lineages, and for cell differentiation, reprogramming, and analysis.